Taking a glass of freshly-made juice is a good way to start the day. Not only do you get to enjoy a quality and healthy drink but also are provided with vital nutrients. Consuming quality orange juice is key to a healthy lifestyle. Therefore, to make your favorite healthy drink, you need to invest in the right juice maker or citrus juicer. 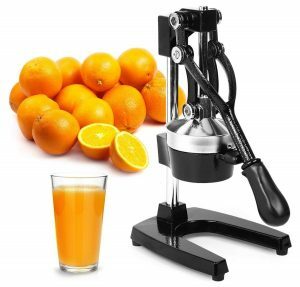 In our review, we will have a look at the top 10 best citrus juicers in 2019 (not orange squeezers) that will produce the maximum amount of orange juice. The manual citrus juicer from Zulay Kitchen ensures to squeeze out the maximum amount of juice from oranges, lemons, limes, grapefruits, and other fruit, with no seeds. 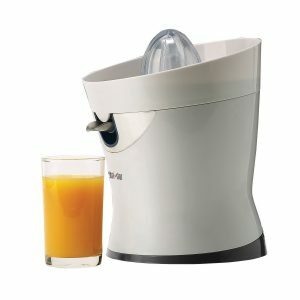 It features the comfortable firm grip handle down to give the fastest and easiest juicing while your hands stay clean. 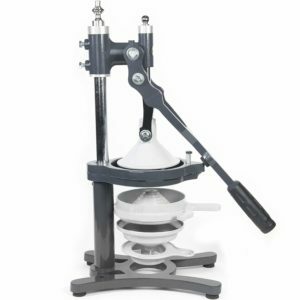 The juicer is made of durable and heavy-duty cast iron with ergonomic design and easy cleaning. The juicer can squeeze and crush a variety of fruits and veggie in a very comfortable way. It also comes with rubber feet to set the juicer in place without sliding or falling off. 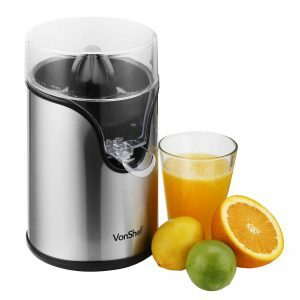 The Vonshef brand is represented by this premium juicer that is suitable for citrus fruits (oranges, lemons, and limes). It is one of the latest editions from the brand and is made from stainless steel and quality plastic housing. The juicing machine has dimensions of 7.7 x 7.7 x 12.2 inches and weighs 4.6 pounds. 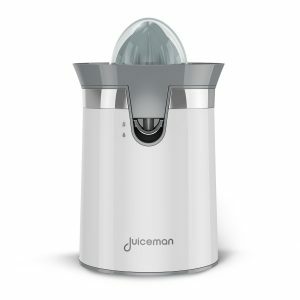 It features a built-in motor that squeezes juice effortlessly and redirects the juice to the collector. The motor might not be the most-silent and can be heard from a close distance while working. Measuring 7.8 x 7.8 x 6.4 inches and weighing 1.9 pounds is the Dash Go orange juicer. Although it is among the smallest and lightest products, it packs quite a punch when it comes to power. Within a few seconds, you will have a glass of fresh juice. It features a 32 oz. a pitcher that houses an adjustable pulp control. To boost efficiency, this juicer uses an auto-reversing reamer. 2 reamers, one for large fruits and the other for small ones are included. The dishwasher-safe item, however, isn’t meant for heavy-duty applications. It is highly recommended for those who want a handy citrus juicer. Enjoying a glass or two of quality orange juice is as easy as popping the fruit in the Juiceman JCJ450. The 2.8-pound juicer measures 6.3 x 6.5 x 10.8 inches and is powered by a 40-watt electric motor. 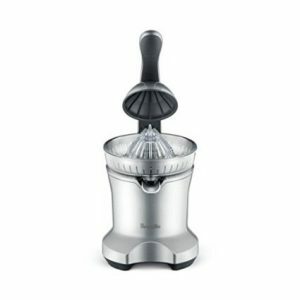 It features two juicing cones for large and small fruits, auto-reversing mechanism and a pulp strainer. Disassembling and cleaning the juicer is easy thanks to its simple design, and in addition to oranges, it also works on lemons, limes, and grapefruit. At 40-watts, the citrus juicer is a bit under-powered especially for demanding tasks. 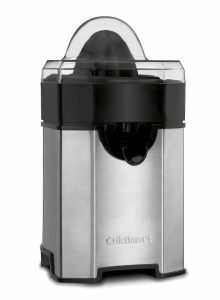 The CJ630 citrus juicer by Black + Decker has a 32-ounce capacity. It measures approximately 7 x 7.5 x 9 inches and has a weight of 2 lbs. The juicer is designed for any citrus fruits including oranges, lemons and limes. Relying on a strong and energy-efficient 20-watt electric motor, the white juicer will produce juice within minutes. Its efficiency is improved by reliable stirrer and auto-reversing reamer. The major complaint is that the electric cord is a bit short and hence limits its use. 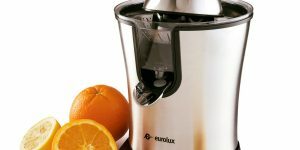 Powered by a 160-watt electric motor, the Eurolux juicer is among the most powerful products. It measures 12.2 x 8 x 9.5 inches, weighs 4 pounds and can be used in the home, restaurant, office, and other settings. Chances of ruining the juice because of rust or corrosion are unlikely as it’s made from stainless steel. To minimize sliding or slipping, the Eurolux juicer comes with suction cups at its base. Integrated filter, rubber handles and auto on/off function are the other features. Unfortunately, it needs a good space since it’s taller than its competitors. Measuring 9 x 6 x 6 inches and weighing 4.1 pounds is the Tribest CitriStar CS-1000. The 110-volt juicer will extract juice from oranges, limes, and lemons within a short time. It comes with simple one-touch operation for speedy and convenient. Once extracted, the juice pours into a clear glass jar after passing through a fine screen filter. The basic design plus use of glass makes cleaning easy. However, its best suited for small batches. The NowBreville BCP600SIL Juicer is among the best quality all orange juicers. It features a strong and efficient motor that will squeeze juice from any citrus fruit. It’s made from BPA-free material that keeps the juice free from toxins and germs. All its constituent parts (cone, collector, filet and dome) are dishwasher safe and can be cleaned easily. The No-Drip spout is easy to flip up yet doesn’t spill any juice. And for maximum safety, a safety locking system is included. With dimensions of 18 by 7.5 by 7.5 inches and weighing 7.1 pounds, the NowBreville BCP600SIL juicer is a bit bulky. It seems that any 10 best orange juice makers reviews can never be complete without mentioning the Cuisine brand. The CCJ-500 comes in the fifth position due to a number of reasons. Firstly, it’s made from brushed stainless steel that can put up with the most demanding situations. Secondly, it has a versatile juicing cone that is ideal for both large and small fruits. Thirdly, it is highly effective thanks to the final spin feature plus auto-reversing reamer. Fourthly, its revolutionary snap-up minimizes any wastage due to dripping or spilling. However, weighing 4-pounds and measuring 12.25 x 6.75 x 7.88 inches and lacking good grip, it tends to slip/slide on very smooth surfaces. 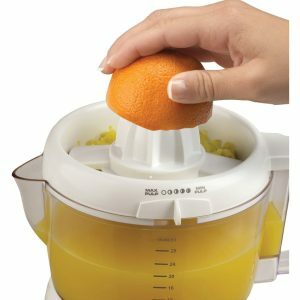 Designed for commercial use, this heavy duty citrus juicer from Zaksenberg is a professional machine built to squeeze any fruit you can throw at it. The filter coming in a large design allows it to accommodate larger fruits and ensure only juice and no seeds into your glass. Unlike a fruit crusher, the Zaksenberg juice presser is designed to squeeze every drop of juice out. The juice squeezers are made using FDA approved paint, which creates an enamel that won’t crack, peel or rust, even after years of citric acid and cleaning. You are assured of good health and minimal toxicity or side effects. 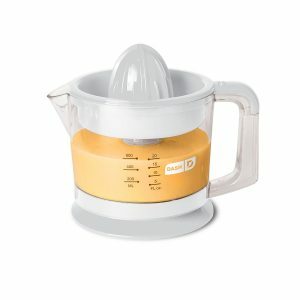 All citrus juicers are designed for quickness, safety, user-friendliness, and hygiene. 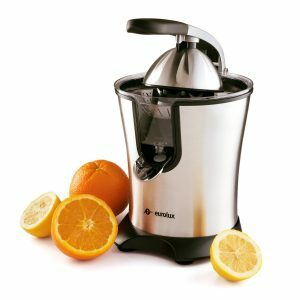 Reading our 10 best citrus juicers review before making an order can lessen the chance of buying a low-quality product.